In Bahasa, the language of Indonesia, the word for jewellery is perhiasan. However, the use of the English word is common, which is not surprising, as jewellery is something that many visitors to Indonesia buy as a souvenir. The artisans are highly skilled, and as a result, Indonesia is a popular country for Western jewellery firms to outsource their making. It is not uncommon for a jeweller in Indonesia to work in a family business that has been established by previous generations, but there is also a growing number of jewellers who have come to the craft through short courses. From the jewellers in Indonesia I have been working with, I have learnt that with no formal higher education in the field available, there is no tertiary sector pushing research or building networks. In September 2016, I travelled to Surabaya Indonesia to co-deliver a pre-course program for 28 professional jewellers who had been selected to participate in a course on International Business Readiness in Jewellery an Australia Short Course Awards Indonesia. The course was designed to support research and development and to foster networking, collaboration between Indonesia and Australia. The participating jewellers were drawn from different regions of Indonesia and did not know each other. So, while the pre-course was a time for introductions and setting the scene for what would be covered in the course—the expectations, content and requirements—it was also the opportunity for me and my colleague Dr Ben Mullen to learn about the participants and for them to meet us and each other. What became clear to me at the pre-course was that there was considerable variation in the types of jewellery that the participants made. Indonesia has a rich history of jewellery and is known for precious metal and gemstone jewellery. Bali is known for quality silver jewellery. Jewellers who work with precious metals and gemstones were well represented in the course, but there was also a strong representation of polymer clay jewellers. There was specialist pearl shell carver, and there was a jeweller who only works in copper and others who only work with unsoldered wire. An excursion to the Surabaya Jewellery Fair was an opportunity for me to get an insight into the scale of the Indonesian jewellery industry. I am so pleased I was accompanied by the course participants, I am sure I would have been overwhelmed if I had attended on my own, the event was huge. Held at the Shangri-La Hotel, the fair was spread over several floors covering a total 4000 sqm. There were over 150 exhibitors and over 20,000 visitors over the four days it was open. The main part of the Business Readiness program was the course taught in Brisbane at Queensland College of Art Griffith University. This took place in March 2017 and I was supported in delivering the program by an impressive range of business and marketing experts and specialists. The participants were kept busy with an intensive program of lectures, seminars and site tours. We visited a range of businesses to gain an insight into Australian business practices. The participants were introduced to local jewellers and some of the key organisations that support practice in Queensland. Artisan hosted a networking event. 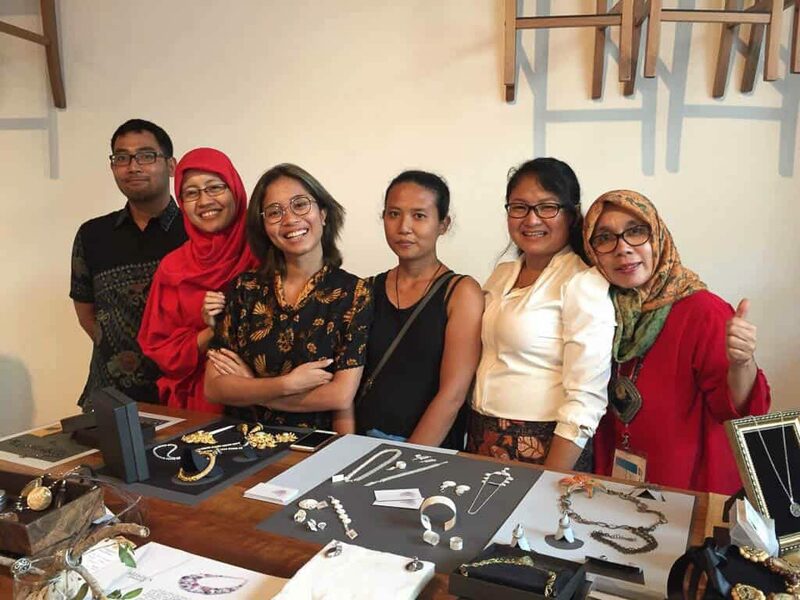 “We had a fantastic afternoon of sharing knowledge with craftspeople from Indonesia, and were touched to be able to view their magnificent jewellery.” The participants started work on their business Development Plans knowing that when they returned home they would have to continue work on them to report on them at the post-course in Yogyakarta. Between our face to face meetings we kept (and continue to keep) in contact via WhatsApp. I could follow the conversations and activities of the participants from afar, and I could see that they were meeting up at events, and visiting each other’s workshops. The strangers brought together for this course were becoming colleagues and friends. 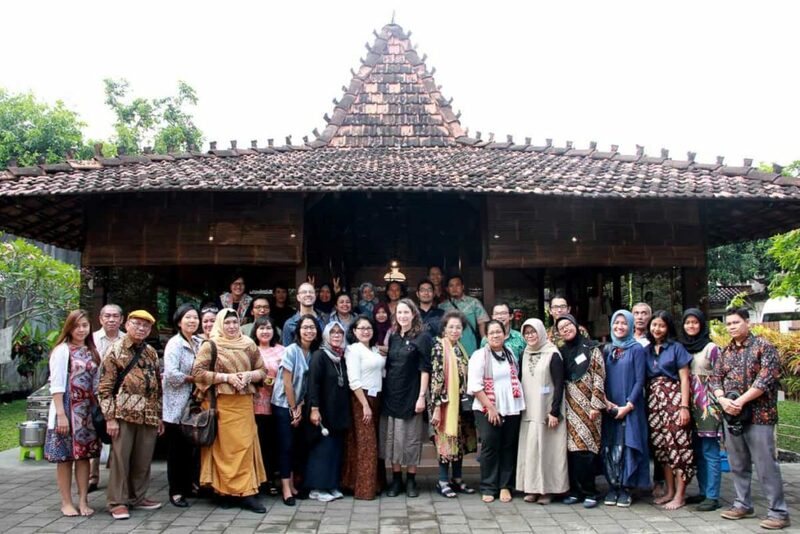 At the post-course held in Yogyakarta, the participants greeted each other warmly. Each jeweller was required to present the project they had undertaken, what had been achieved and what was still to come. It was impressive to see what had been achieved, and interesting to see what influences were apparent from the course and the places they had visited. A concern raised by the participants was that, in Indonesia, jewellery is not taught at a tertiary level, and there is no equivalent association like the Jewellers and Metalsmiths Group of Australia. Perhaps this group of jewellers brought together for this course will form the start of a Jewellers Group of Indonesia? 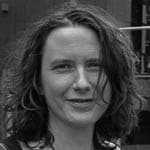 Elizabeth Shaw is a jeweller and metalsmith and Convenor of the Jewellery and Small Objects Department at Queensland College of Art Griffith University. She exhibits regularly and contributes to academic research with a focus on ethical practice and the social and cultural language of contemporary jewellery and objects.